JH Designs is a small residential design firm based in Louisville, KY. Since its founding, the firm has focused on traditional architecture and the creating of new homes, additions and remodels. JH Designs has established a design approach that is characterized by its attention to detail, its creativeness in the design process, and commitment to providing excellent service. Full service architecture and construction company specializing in residential additions, renovations, and new construction. 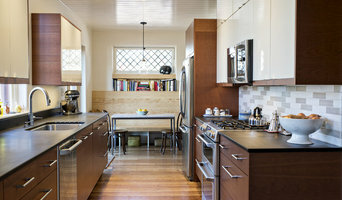 Jim Peterson Architect & Builder has been designing and constructing creative houses and remodeled homes since 1982. 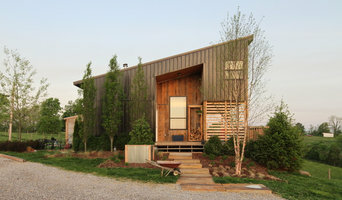 Design Farm is a collaborative design studio dedicated to sustainable living implemented through design located in Fort Thomas, Kentucky just across the river from Cincinnati, Ohio. We also do a lot of work in the Louisville area. We are a Residential Drafting Service providing Builders Contractors and Home Plan Buyers Affordable Custom and Stock House Plans. We have over 20 years experience and have drawn over 5000 custom house plans for some of the largest home builders in the Kentuckiana area. My mission is to provide a home design service where the plans are affordable, accurate, and completed in a reasonable amount of time. 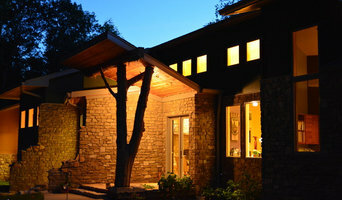 One World Architecture is an architecture firm dedicated to socially and environmentally responsible design. With passion, keen strategic thinking, and respectful collaboration, we engage a diversity of projects, including institutional, residential, and commercial. 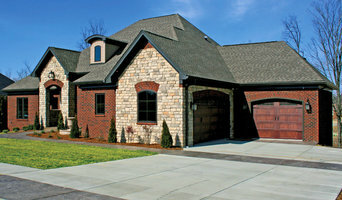 Welch Drafting located in Bardstown Kentucky specializes in custom house plans and design. Looking for something outside the cookie cutter design everyone else is building? Can't find a plan that is "Just what I was looking for!" on line? With over 30 years designing custom and one of a kind homes, including many award winning homes, you've found the help you have been looking for. From vacation and lake cabins to multi-million dollar homes and everything in between, Designs At Work can put your thoughts and dreams on paper so those dreams can become a reality. Need to update your existing home so it has dream home status? We can evaluate what you have and give ideas and thoughts that can turn your fixer upper into a home you love. Robbins Architecture brings over a decade of rich architectural experience to the table, with a special emphasis on traditional residential design. Our goal is to make you feel great about the experience we have together. That means working one-on-one with you to achieve the home design you’ve always dreamed about.